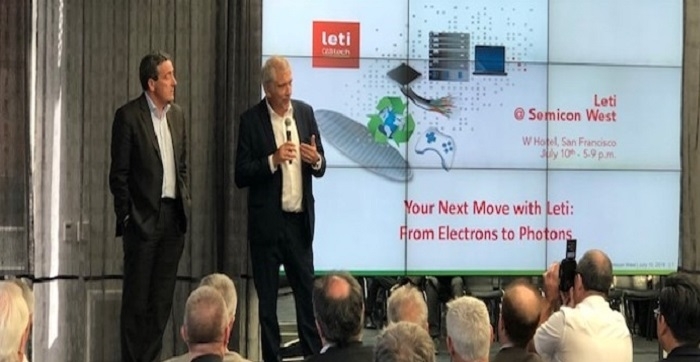 CEA Tech-Leti and Soitec have announced a five-year partnership agreement to drive the R&D of advanced engineered substrates, including SOI and beyond. The agreement brings the traditional Leti-Soitec partnership to a whole new dimension and includes the launch of a world-class prototyping hub associating equipment partners to pioneer with new materials. The Substrate Innovation Center will feature access to shared Leti-Soitec expertise around a focused pilot line. Key benefits for partners include access to early exploratory sampling and prototyping, collaborative analysis, and early learning at the substrate level, eventually leading to streamlined product viability and roadmap planning at the system level. Leading chip makers and foundries worldwide use Soitec products to manufacture chips for consumer applications targeting performance, connectivity, and efficiency with extremely low energy consumption. Applications include smart phones, data centers, automotive, imagers, and medical and industrial equipment, but this list is always growing, along with the need for flexibility to explore new applications starting at the substrate level. At the Substrate Innovation Center, located on Leti’s campus, Leti and Soitec engineers will explore and develop innovative substrate features, expanding to new fields and applications with a special focus on 4G/5G connectivity, artificial intelligence, sensors and display, automotive, photonics, and edge computing. A typical manufacturing facility has limited flexibility to try new solutions and cannot afford to take risks with prototyping. The mission of the Substrate Innovation Center is to become the world’s preferred hub for evaluating and designing engineered substrate solutions to address the future needs of the industry, inclusive of all the key players, from compound suppliers to product designers. Using state of the art, quality-controlled clean room facilities, and the latest industry-grade equipment and materials, Leti and Soitec engineers will conduct testing and evaluation at all levels of advanced substrate R&D.